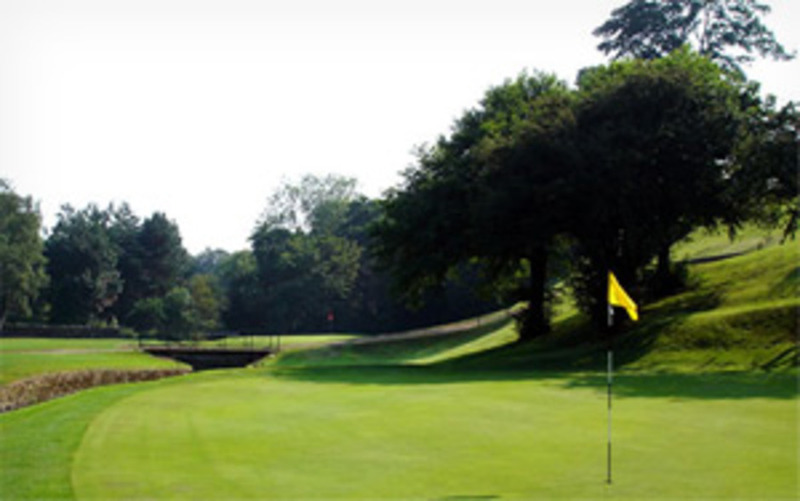 360 FAQ :: Visitors and societies are guaranteed to receive a warm welcome both on and off the course at this, one of the premier golf clubs in the north of England, holder of the Yorkshire Order of Merit award. Q. What if I underestimate my requirements? A. You will be able to purchase additional credits for rounds at a set price determined by your category banding. Q. Can I have my unused credits added onto my allowance for the following year? A. Unfortunately this is not possible; neither can any money be refunded. All credits must be used by 31 March each year – the end of the membership year. Q. Why is it one credit for only 9 holes? A. It was felt this would give the best value for money and enables you to enjoy much more flexibility. We regularly hold 9-hole competitions and in 2016 you will be able to complete supplementary scores over 9 holes (Not Cat 1 players). Q. I only want to play 9 holes, how can I ensure I am only deducted one credit? A. At the time of booking the IG system will allow you to select whether you play 9 or 18 holes. Q. Are there any discounts for playing at different times of the day? A. No, this scheme is based on use - course maintenance costs are the same whatever time you play. Q. Who can book the tee for me? A. You are responsible for booking your own round; however you may ask the Club staff to book one for you if you do not have access to a computer or other facility. Equally, if you do not intend to play YOU are responsible for cancelling the booking, otherwise you will have a round/credits deducted. Q. What happens if I do not record my use of the course for a full or part round? A. This system is based on honesty. To do so would be to deprive the Club and its members of revenue. Under the rules of the scheme your membership will be withdrawn and no refund will be issued. Q. If the system does not allow tee bookings, how are my credits deducted? A. It is your responsibility to go into the Pro Shop and they will ensure the appropriate numbers of credits are deducted from your account. Q. What if the Pro Shop is closed, ie before 7am in summer and 8am in winter? A. If you play early in the morning, then you must visit the Pro Shop immediately after completing your game. Q. I want to play 9 holes in the evening and by the time I arrive at the course the Pro Shop is closed? A. If you plan to play in the evening and the Pro Shop is closed, please see the Bar staff, preferably before playing, alternatively you could ring the Pro before he closes and he will log your round. Q. What happens if I fail to turn up and play a round that I have booked without notifying the cancellation in advance? A. You are responsible for booking your own round and cancellation. If you have not cancelled in advance you will have the credits deducted. This tee slot could have been used by another member. Q. How do I meet other members of a similar standard to arrange games? A. Our Professional, Clive Dell, is the person to speak to. He can introduce you to the most appropriate people and roll-up groups. Q. It’s a nice day can I just turn up and play? A. It would be advantageous to check the tee sheet for the day, by either looking on the website or ringing the Pro shop. You could, of course, just turn up and check with the Pro Shop when the next tee slot is free and if you have to wait half an hour, you could go into the clubhouse for a drink, or use the time to practice. Q. I am a Platinum member; must I always book a tee slot? A. Yes, all ‘360 scheme’ members need to register their use of the course either through advanced tee booking or reporting to the pro before playing. Q. If I play in a handicap qualifying monthly medal or Stableford competition do these count as one of my rounds, i.e. two credits? A. Yes, each handicap qualifying round will incur a separate deduction. Q. If I play in Club board competitions and match play knockouts do these count as one of my rounds? A. Yes, each knockout round will incur a separate deduction. Q. What if I reach the semi-final of a knockout and have used up all my credits? A. You will need to decide whether you pull out of the competition or you can purchase additional credits at a set rate according to your banding. Q. There is only one slot available at the time I wish to play and I do not know the other people, can I still book? A. Yes, if the original booking has left a gap, they are happy for any member to join them. Q. I came off the course because the Club closed the course, can I have my account re-credited? A. Each individual circumstance will be considered by the Club based on the merits of the situation before a decision is made. Q. In winter if there are only 12 holes open, will I be deducted 2 credits. A. Yes, for this scheme one credit is deducted for up to 9 holes played, two credits deducted for up to 18 holes played.